"The purpose of science is to discover the true nature of Earth and Universe and to share that knowledge with people everywhere. That's what I do." -- J. Marvin Herndon, Ph.D.
What are they spraying into the air we breathe? Forensic scientific investigations are consistent with coal fly ash the toxic waste product of buring coal being the main substance sprayed into the air we breathe (click here). How do particles sprayed into the air affect the weather? Persistent aerial spraying of particulate matter into the regions where clouds form (1) inhibits rainfall to the point of massive downpours, the so-called "drought or deluge" effect, (2) heats the atmosphere, (3) retards heat loss from the Earth, and (4) upon falling to earth, absorbs sunlight. In short, the aerial spraying destroys the natural weather cycle, contaminates Earth’s biosphere, and causes global warming — consequences falsely blamed on fossil fuel burning. California Desiccation: Setting the Stage for California Fires (click here). How does the aerial spraying endanger human health? The adverse public health effects of aerosolized particulate matter can be inferred from pollution studies of particulates 2.5 mm and smaller. Exposure to such particles has been shown to be associated with increased hospital admissions, morbidity and premature mortality, risk for cardiovascular disease and lung cancer, other lung diseases including asthma, diabetes, risk for stroke, Alzheimer’s disease, reduced renal function in older men, low birth weight, reduced male fertility and decreased cognitive ability in older women. Adverse health effects of aerosolized coal fly ash (CFA) include (1) neurological disorders, such as Autism Spectrum Disorder, Alzheimer’s and Parkinson’s disease, (2) lung cancer and respiratory disorders, and (3) numerous other disorders resulting from the plethora of toxic elements in this material, including arsenic, mercury, and radioactive elements. The most at risk are the young, the old, and those with compromised respiratory and immune systems. An Open Letter to Members of AGU, EGU, and IPCC Alleging Promotion of Fake Science at the Expense of Human and Environmental Health (click here). From Earth’s early formation as a Jupiter-like gas giant, J. Marvin Herndon is able to derive virtually all of the geological and geodynamic behavior of our planet, including the origin of mountains characterized by folding, the primary initiation of fjords and submarine canyons, the origin of continents and oceans, seafloor topography without mantle convection, Earth’s internal composition, its previously unanticipated and potentially variable energy sources, its variable magnetic field, petroleum and natural gas deposits, and the non-anthropogenic basis of atmospheric carbon dioxide increases. Further, he reveals the flaws that underlie academic geoscience and the pseudo-science that is the basis for the anthropogenic (human caused) global warming / climate change / geoengineering malevolent agenda. 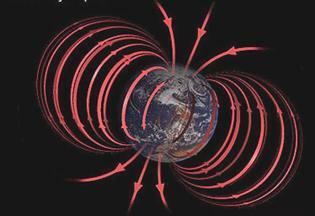 For more than six decades, scientists have thought that the Earth's magnetic field is generated by convection-driven dynamo-action in the Earth's fluid core. Then, J. Marvin Herndon demonstrated that sustained convection, and hence dynamo-action, in the Earth's fluid core is physically impossible, but not physically impossible in the georeactor. The georeactor is thus the energy source and the place of dynamo production of the geomagnetic field. Significantly, the georeactor is only one ten-millionth as massive as the Earth's core, meaning that changes in the geomagnetic field, such as reversals, can take place much more rapidly than previously thought. New Review Article: Terracentric Nuclear Fission Georeactor (click here for pdf) Current Science, 2014, 106(4), 528-541. Important Paper: J. Marvin Herndon, Nuclear georeactor generation of the Earth's geomagnetic field. (click here for pdf), Current Science, 2007, 93,1485-1487. Important Paper: J. Marvin Herndon, Geodynamic basis of heat transport in the Earth. (click here for pdf), Current Science, 2011, 101,1440-1450. J. Marvin Herndon's concept of Earth originally having formed as a Jupiter-like gas giant leads to a new vision of Earth's internal composition, new geodynamics that correct and extend plate tectonics, powerful new energy sources (stored energy of protoplanetary compression and nuclear fission georeactor energy), georeactor magnetic field generation, and a new concept for the formation of fold-mountain ranges that does not necessitate plate collisions. In short, a whole new indivisible geoscience paradigm, securely anchored to the properties of matter as described in detail under various relevant headings below on this website. If animation below stops, please refresh page. For Windows, press F5. J. Marvin Herndon, Whole-Earth decompression dynamics. (click here for pdf), Current Science, 2005, 89,1937-1941. J. Marvin Herndon, Energy for geodynamics: Mantle decompression thermal tsunami. (click here for pdf), Current Science, 2006, 90,1605-1606. J. Marvin Herndon, Geodynamic basis of heat transport in the Earth. (click here for pdf), Current Science, 101,1440-1450 (2011). J. Marvin Herndon, Origin of mountains and primary initiation of submarine canyons: the consequences of Earth's early formation as a Jupiter-like gas giant. (click here for pdf), Current Science, 2012, 102,1370-1372. 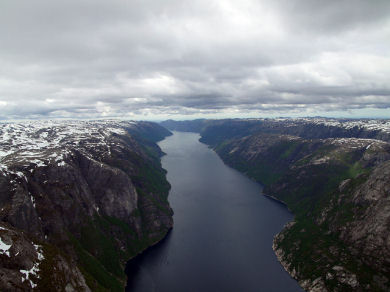 WebPage: Origin of Mountains and Primary Initiation of Submarine Canyons (click here). Important Paper: Origin of mountains and primary initiation of submarine canyons: the consequences of Earth's early formation as a Jupiter-like gas giant. (click here for pdf) Current Science, 2012, 102, 1370-1372. Descriptions of phenomena, events, or processes made on the basis of problematic paradigms can be unreasonably complex (e.g. epicycles) or simply wrong (e.g. ultraviolet catastrophe). Supercontinent cycles, also called Wilson cycles, are, J. Marvin Herndon submits, artificial constructs, like epicycles. Herndon provides the basis for that assertion and describes published considerations from a fundamentally different, new, indivisible geoscience paradigm which obviate the necessity for assuming supercontinent cycles. The visionary evolutionist, Lynn Margulis, taught the importance of envisioning the Earth as a whole, rather than as unrelated segments spread among various scientific specialties. 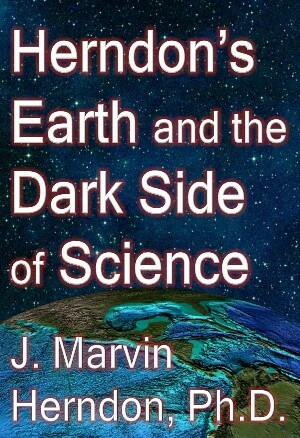 In that spirit, and in the broader framework of the Solar System, J. Marvin Herndon presents a new, indivisible planetary science paradigm, a wholly self-consistent vision of the nature of matter in the Solar System, and dynamics and energy sources of planets which differs profoundly from the half-century old, popular, but problematic paradigm. This is a new foundation from which much development is possible. Important Paper: J. Marvin Herndon, New Indivisible Planetary Science Paradigm (click here for pdf) Current Science, 2013, 105(4), 450-460. Abstract: I present here a new, indivisible planetary science paradigm, a wholly self-consistent vision of the nature of matter in the Solar System, and dynamics and energy sources of planets. Massive-core planets formed by condensing and raining-out from within giant gaseous protoplanets at high pressures and high temperatures. Earth’s complete condensation included a ~300 Earth-mass gigantic gas/ice shell that compressed the rocky kernel to about 66% of Earth’s present diameter. T-Tauri eruptions stripped the gases away from the inner planets and stripped a portion of Mercury’s incompletely condensed protoplanet, and transported it to the region between Mars and Jupiter where it fused with in-falling oxidized condensate from the outer regions of the Solar System and formed the parent matter of ordinary chondrite meteorites, the main-Belt asteroids, and veneer for the inner planets, especially Mars. In response to decompression-driven planetary volume increases, cracks form to increase surface area and mountain ranges characterized by folding form to accommodate changes in curvature. The differences between the inner planets are primarily the consequence of different degrees of protoplanetary compression. The internal composition of Mercury is calculated by analogy with Earth. The rationale is provided for Mars potentially having a greater subsurface water reservoir capacity than before realized. Important Paper: Herndon, J. M., Nature of planetary matter and magnetic field generation in the Solar System. (click here for pdf) Current Science, 2009, 96, 1033-1039. J. Marvin Herndon discovered a fundamental relationship using published whole-rock chondrite molar Mg/Fe and Si/Fe ratios. This relationship admits the possibility that ordinary chondrite meteorites are derived from two components: one is a relatively undifferentiated, primitive component, oxidized like the CI or C1 carbonaceous chondrites; the other is a somewhat differentiated, planetary component, with oxidation state like the highly reduced enstatite chondrites. Such a picture would seem to explain for the ordinary chondrites, their major element compositions, their intermediate states of oxidation, and their ubiquitous deficiencies of refractory siderophile elements. J. Marvin Herndon suggested that the planetary component of ordinary chondrite formation consists of planet Mercury’s missing complement of elements. Important Paper: Herndon, J. M., Discovery of fundamental mass ratio relationships of whole-rock chondritic major elements: Implications on ordinary chondrite formation and on planet Mercury's composition. 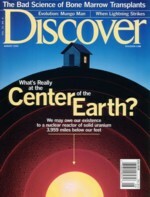 (Click here for pdf) Current Science, 2007, 93, 394-399. 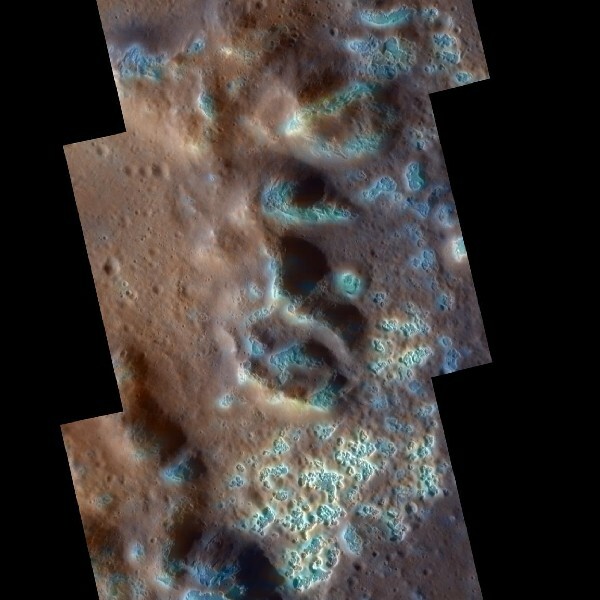 The MESSENGER spacecraft currently orbiting Mercury sent back images of recent volatile-related activity on Mercury's surface characterized by pits associated with highly reflective surface material that puzzled NASA scientists. 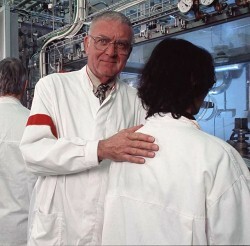 In a recent scientific communication, J. Marvin Herndon proposed an explanation. If Mercury's core material condensed from primordial matter at pressures of one atmosphere or more, iron would condense as a liquid capable of dissolving copious amounts of hydrogen. Later, as Mercury's core solidified, the hydrogen would be released and would escape at the surface, producing hydrogen geysers, forming the observed pits, and reducing iron sulfide to metal, thus accounting for the associated highly reflective material. Important Paper: Herndon, J. M., Hydrogen geysers: explanation for observed evidence of geologically recent volatile-related activity on Mercury's surface. 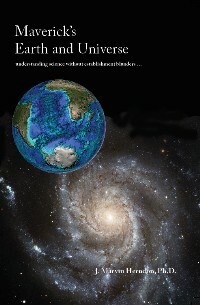 (click here for pdf) Current Science, 2012, 103, 361-362. 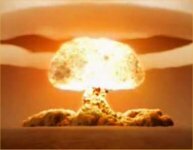 More than seven decades ago, scientists thought they had solved the problem of how thermonuclear reactions in stars ignite automatically during formation. Later, although there were indications of serious problems, no one except J. Marvin Herndon, thought to ask "What's wrong with this picture?" and to re-think the problem. 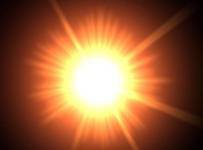 The result was realizing that thermonuclear reactions in stars, as in hydrogen bombs, are ignited by nuclear fission. Without fissionable elements to spark ignition, the stars remain dark. Important Paper: Herndon, J. M., Planetary and protostellar nuclear fission: Implications for planetary change, stellar ignition and dark matter. (click here for pdf) Proceedings of the Royal Society of London, 1994, A455, 453-461. 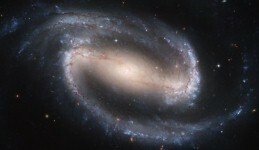 Before Herndon, the characteristic features of galaxies were inexplicable, because astrophysics had been built upon a flawed foundation for more than seven decades, i.e., the belief that stars automatically ignite upon formation. Now, Herndon points the way toward understanding for the first time galactic luminous star distributions, which are a prominent, common feature of galaxies, making the galaxies appear as they do. Important Paper: Herndon, J. M., New concept for internal heat production in hot Jupiter exo-planets, thermonuclear ignition of dark galaxies, and the basis for galactic luminous star distributions. (click here for pdf) Current Science, 2009, 96, 1453-1456. How, one might ask, is J. Marvin Herndon, able to make so many fundamental scientific discoveries? There are methodologies, not taught in schools, that Herndon shares in his book, Maverick's Earth and Universe click here, and in his new paper, entitled "Inseparability of Science History and Discovery". WebPage: Time-Travel for Science Revolutions (click here) is a brief synopsis of Herndon's work describing one methodology for making revolutionary scientific discoveries which differs from the frequently discussed variations of the scientific method. Important Paper: Herndon, J. M., Inseparability of Science History and Discovery (click here for pdf) History of Geo- and Space Sciences, 2010, 1, 25-40. Science is about truth, not deception, not to the scientific community and not to the general public. Science provides a truth-standard, securely anchored in the properties of matter. 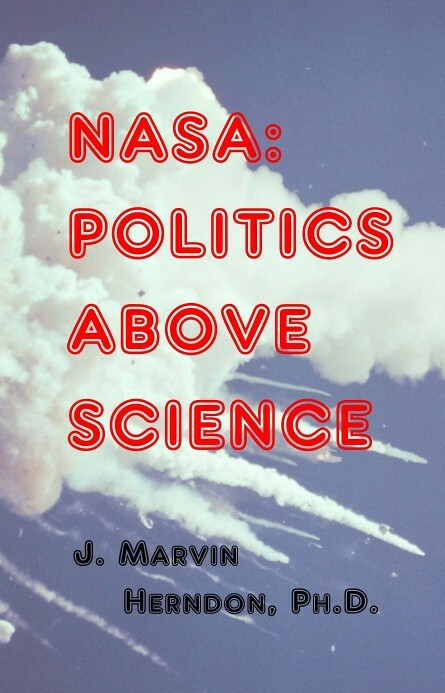 J. Marvin Herndon reveals the causes and extent of science corruption, suppression and misrepresentation and he proffers practical solutions. + Tribute to Ott Christoph Hilgenberg (click here) Download a copy of his 1933 book Vom wachsenden Erdball (click here). YouTube Video: Origin of Earth's Magnetic Field (click here) This video is best "watched in high quality" as it contains an experimental demonstration of why long-term convection, and hence dynamo-action, in the fluid core is impossible. Download .mp4 video file (click here). YouTube Video: Lighting the Stars (click here) The nature of star ignition has been misunderstood since a mistake was made in the 1930s and subsequently built upon J. Marvin Herndon reveals the mistake and describes the rationale for his correcting it. (click here for notes and references) Download .wmv video file (click here). 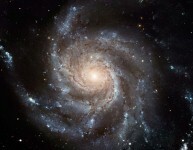 YouTube Video: The Origin of Galaxies (click here) Observations arranged into a logical order reveal causal relationships leading to a new fundamental understanding of the origin of galaxies. Download .wmv video file (click here). YouTube Video: No Mantle Convection!!! 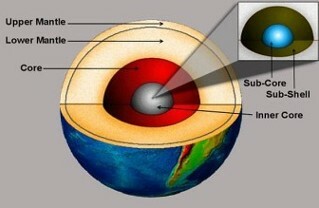 (click here) Plate tectonics theory is incomplete, providing no energy source for geodynamics and depends critically on the assumption of mantle convection. This video shows the reason that mantle convection is physically impossible. Download .wmv video file (click here). YouTube Video: 21st Century Earth Dynamics Part 1 (click here) and 21st Century Earth Dynamics Part 2 (click here) This is a two-part video about a complete, new geodynamic theory, recently published in the scientific literature, called Whole-Earth Decompression Dynamics, that unifies and supersedes plate tectonics and Earth expansion theories. Download .wmv video file Part 1 (click here). Download .wmv video file Part 2 (click here). YouTube Video: Put Teachers on Top (click here) Download .wmv video file (click here). 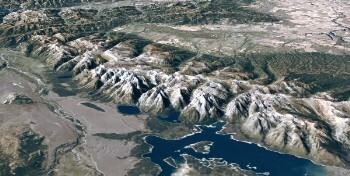 The scientific foundations described on this website have been published in the following, premiere scientific journals: Naturwissenschaften, Journal of Geomagnetism and Geoelectricity, Proceedings of the Royal Society of London, Proceedings of the National Academy of Sciences USA, Current Science, and Earth, Moon, and Planets. When an important new contradiction to prevailing ideas arises in the realm of ethical science, the new concept should be discussed and debated, subjected, if possible, to experimental and/or theoretical verification, refuted if wrong, or otherwise acknowledged. Scientists throughout the world are invited to ascribe to that standard. Secure in the belief that science and truth should go hand in hand with the freedom to learn about and to understand the world in which we live, this web site is dedicated to the dissemination of information to all people: to scientists and, especially, to interested persons everywhere. © 2009 - 2018 Transdyne Corporation and J. Marvin Herndon. Except as otherwise marked, the material on this website may be reproduced for educational purposes, provided that no modifications are made and provided the source and J. Marvin Herndon are acknowledged.